Metal Soldiers Game Lock ‘n Load Get your weapons ready for the ultimate action game. 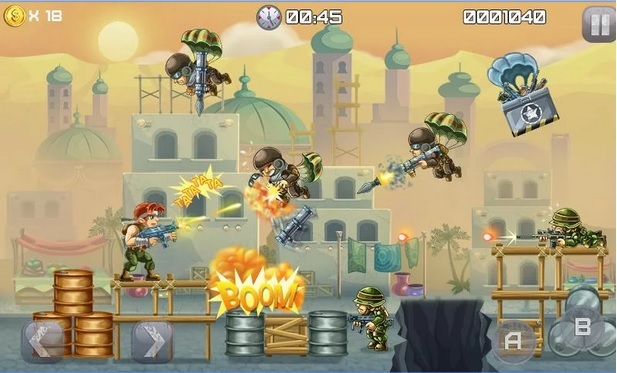 Metal Soldiers combines the adrenaline of platform-style games with the action of 2d shooters. Use the pad to move around and tap to jump and shoot. Use different guns and grenades too. Blow up all enemies in Metal Soldiers! Kill them all in this amazing shooter game.What are you waiting for Download Metal Soldier now and let the shooting begin!